Meet Ronnie, our new beautiful Blonde. 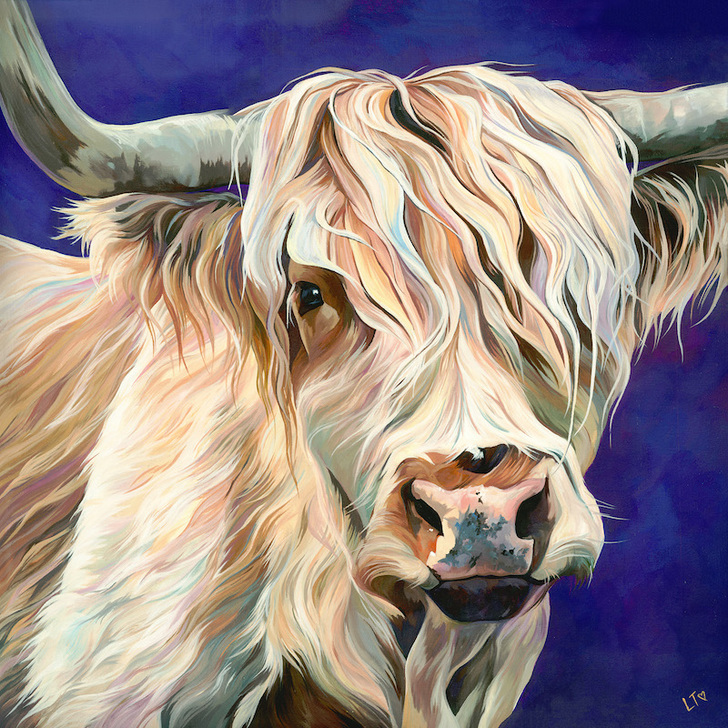 Not everyone knows that Highland Cattle come in a variety of colours so I'm glad to have a white Highland Cow join the herd. 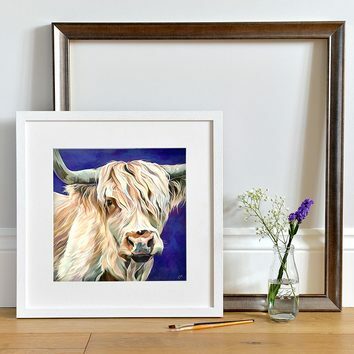 This beautiful girl is a nice alternative to your stereotypical ginger Highland cow, not that we love them any less of course! Years ago I painted an oil painting with a dark purple background and it’s something I’ve wanted to try again for a while now, I was just waiting for the right subject. 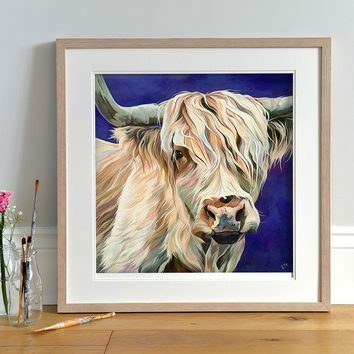 This rich violet background brings out the endless variety of yellow, ochre, gold and lilac tones in Ronnie wonderfully. This painting would look fantatstic in a home with neutral decor. The subtle colour palette of this painting would compliment taupe and cream surroundings, while the rich background lifts it from the wall.